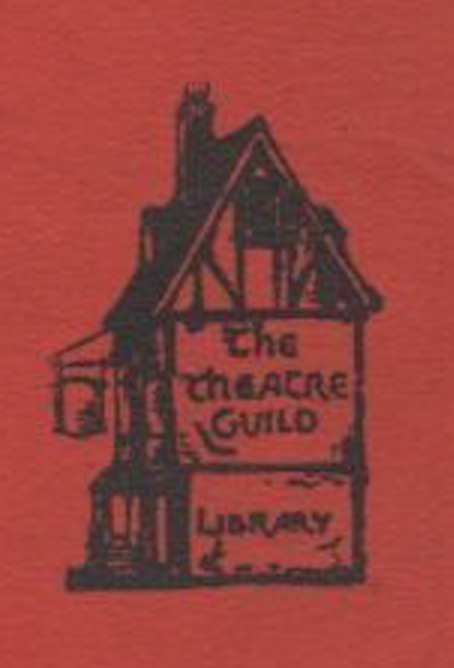 A series colophon (used on some of the early Doubleday & Heinemann titles in the series, far left) is based on the Theatre Guild’s logo (left). The Theatre Guild Library is a bit obscure. I can find almost no mention of it in contemporary literature, and it seems to have been published by at least four publishers, sporadically, over a half-century. My guess is that the series was partially sponsored by the Theatre Guild itself, consisting of plays they performed and wanted to publish, and they had to work with different publishers (maybe for contractual issues related to the authors). 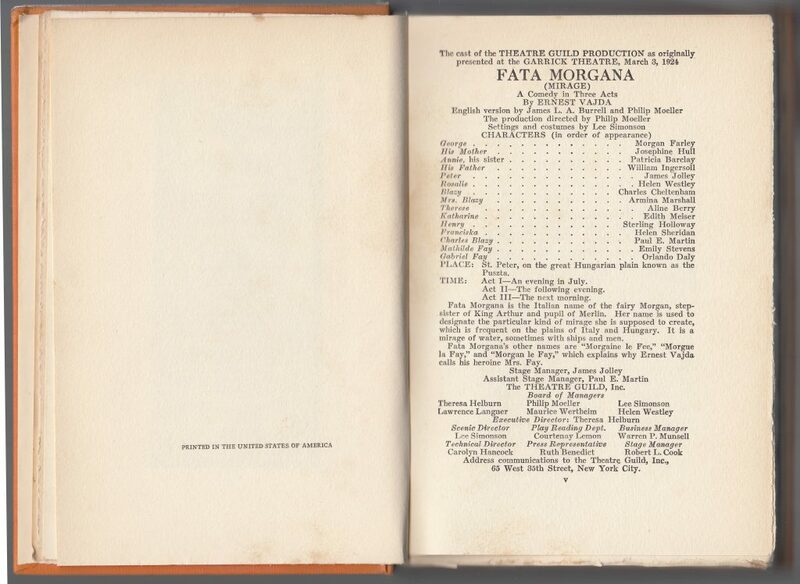 * Published for the Theatre Guild by Doubleday, Page & Co. Jackets for the series vary depending on the publisher. 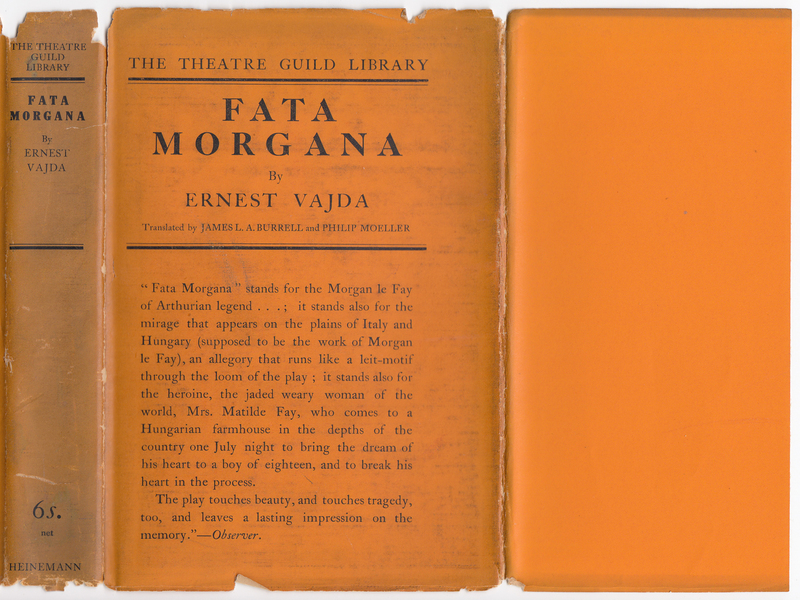 The copy of Ernest Vajda’s Fata Morgana from Heinemann in the UK is dated 1924 and sports a rather plain textual jacket printed on alarming orange paper. This is one of the early series titles published by Doubleday in the US and Heinemann in the UK. The jacket spine includes the series name as well as the price (6s.). The jacket front includes the series name and a blurb and reviews of the book. The front jacket flap is blank. The rear of the jacket and back flap is blank. 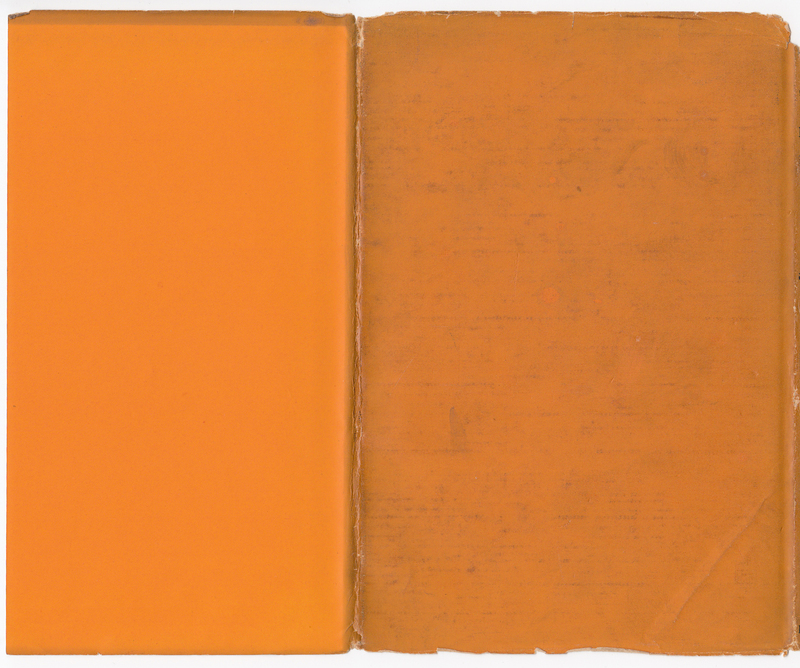 The bindings are in orange cloth. They resemble some of the early titles issued by Doubleday in the US. The series name is included on the front cover of the book. 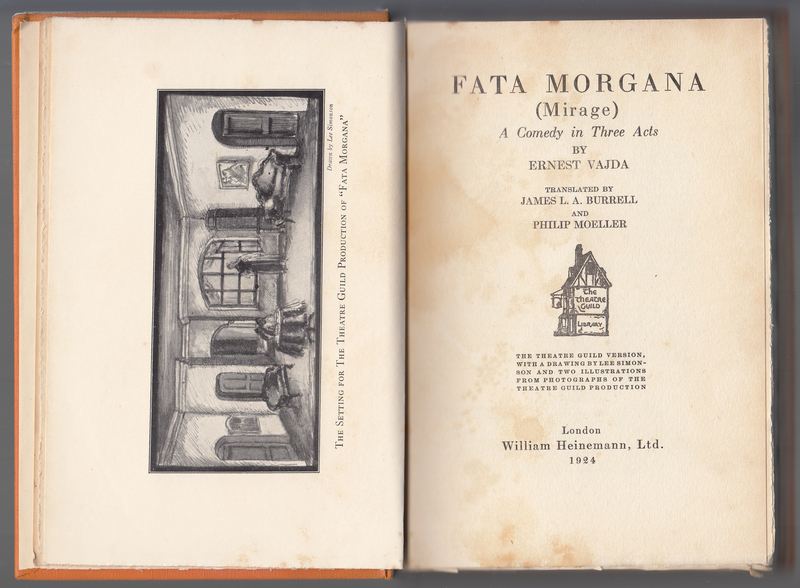 The title page is faced with an illustration of one of the sets in the play. 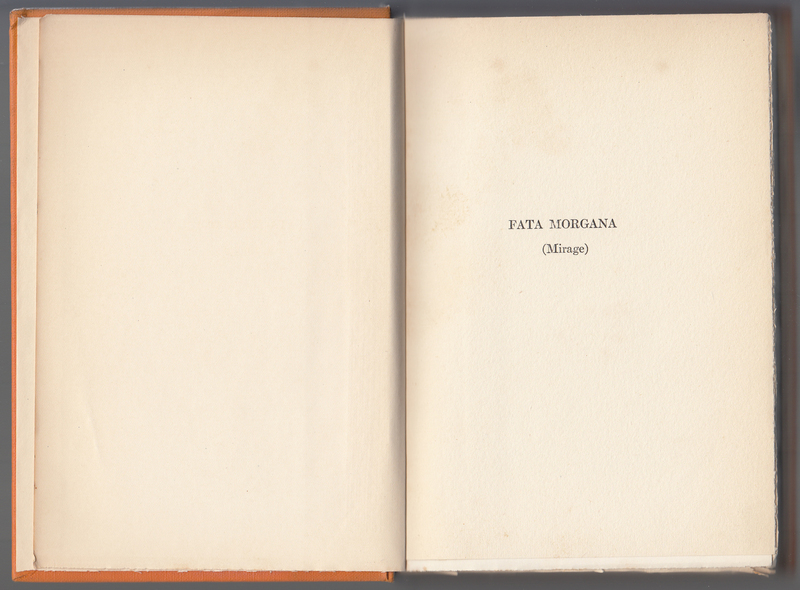 The Theatre Guild colophon is centered on the page. Beneath the colophon is the statement: “The Theatre Guild Version with a drawing by Lee Simonson and two illustrations from photographs of the Theatre Guild production.” The book is dated (1924) under the publisher’s imprint. 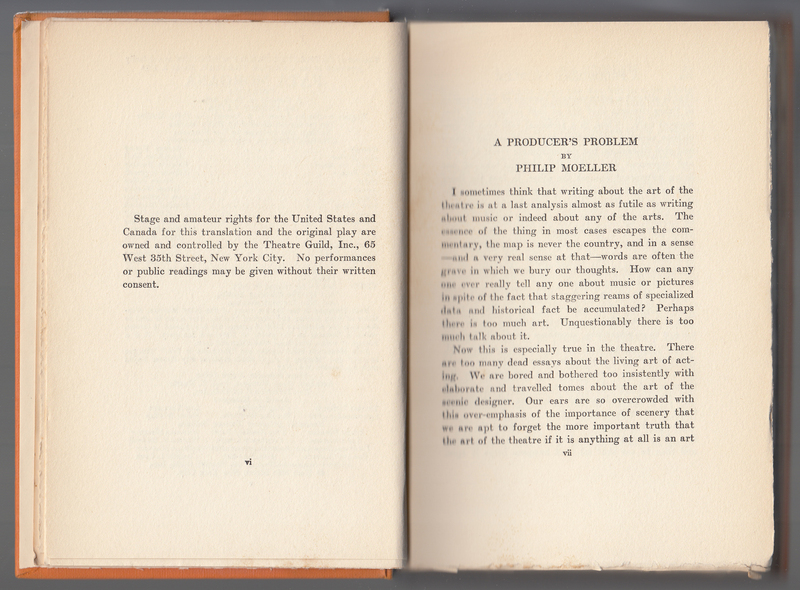 Following the title page is the statement “Printed in the United States of America” which indicates the book was most likely printed by Doubleday for Heinemann to publish in the UK. The facing page includes details about the Theatre Guild production of the play in 1924. 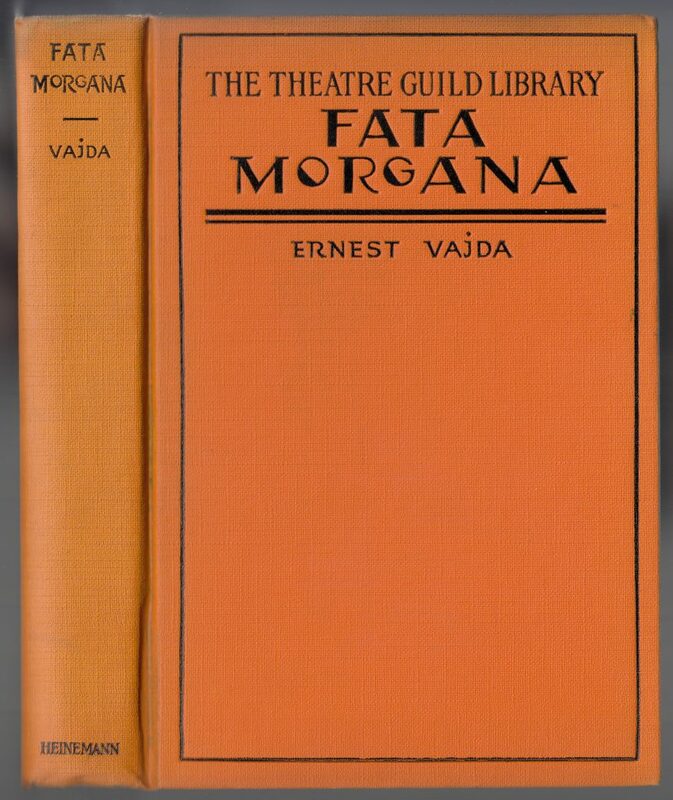 The date indicates that the goal may have been to have published copies of the plays available, in the series, at the time the Theatre Guild performed the play. A statement about rights to the play faces the first page of text.